Shanghai Maritime Court has detained containership Van Manila over its involvement in a hit-and-run accident. On April 5, Kiribati-flagged general cargo ship Xiang Zhou sank near Nantong waters while it was sailing from Nantong to Busan. Two of fourteen crews were rescued while the other 12 crews remain missing. 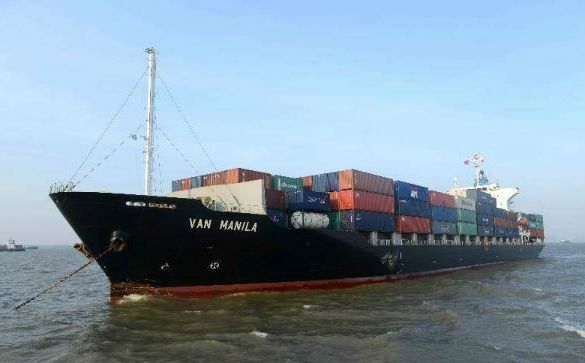 The local authority started investigations into the incident and alleges that Van Manila had collided with Xiang Zhou, and then proceeded to turn off its AIS tracking and sail away from the site. At the request of relatives of Xiang Zhou crew members, Shanghai Maritime Court has detained the vessel at Shanghai Port and ordered the owner and charterer of the vessel to take relevant legal responsibilities. The 1,708 teu Van Manila is owned by Hong Kong’s Van Yu Trading and managed by Northstar Ship Management.